Pablo Martinez, 14, a student at Buell Central High School, talks about the hands-on experience planting vegetables in a classroom setting on Wednesday Oct. 25, 2017 in Pharr. Students showcased the sustainability efforts that got them a grant from the National Fish and Wildlife Foundation for a green conservation and restoration program that will expand throughout the district and community. 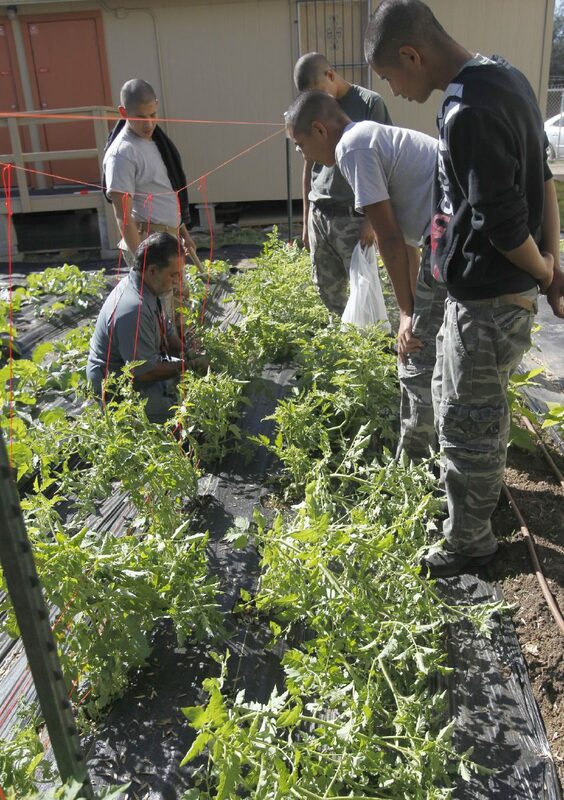 PHARR — A recent $50,000 grant awarded to Buell Central High School is slated to help students extend their in-house sustainability efforts to the Pharr-San Juan-Alamo community. The grant, awarded by the National Fish and Wildlife Foundation, will fund the Buell Green Conservation and Restoration Program which will spawn widespread efforts throughout the PSJA school district area, said Buell Principal Mario Bracamontes. Bracamontes leads the alternative school where middle and high school students from across the district are sent due to behavioral issues or school-code violations. In this school the classroom sizes are small, to provide at-risk students with more one-on-one time. Their coursework is full of hands-on opportunities, which tend to revolve around sustainability. Students at Buell Central High School show the sustainability efforts that got them a grant from the National Fish and Wildlife Foundation for a green conservation and restoration program that will expand throughout the district and community. Here, Kale is planted at the school grounds on Wednesday, Oct. 25, 2017, in Pharr. Students at Buell Central High School get hands-on experience planting vegetables in a classroom setting on Wednesday Oct. 25, 2017, in Pharr. Students show the sustainability efforts that got them a grant from the National Fish and Wildlife Foundation for a green conservation and restoration program that will expand throughout the district and community. 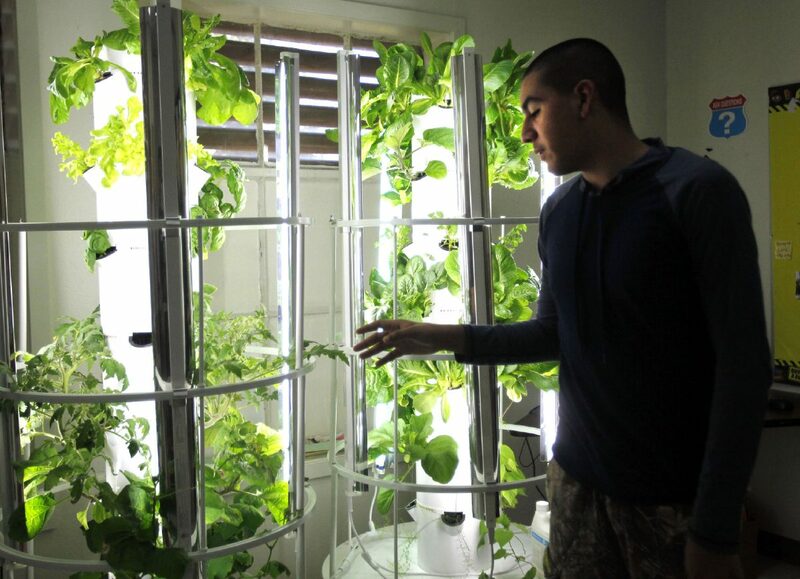 Students have been planting their own gardens, both inside and outside the classroom, using hydroponic and aquaponics growing systems while learning lessons using this and other sustainability efforts such as solar power and organic composting. 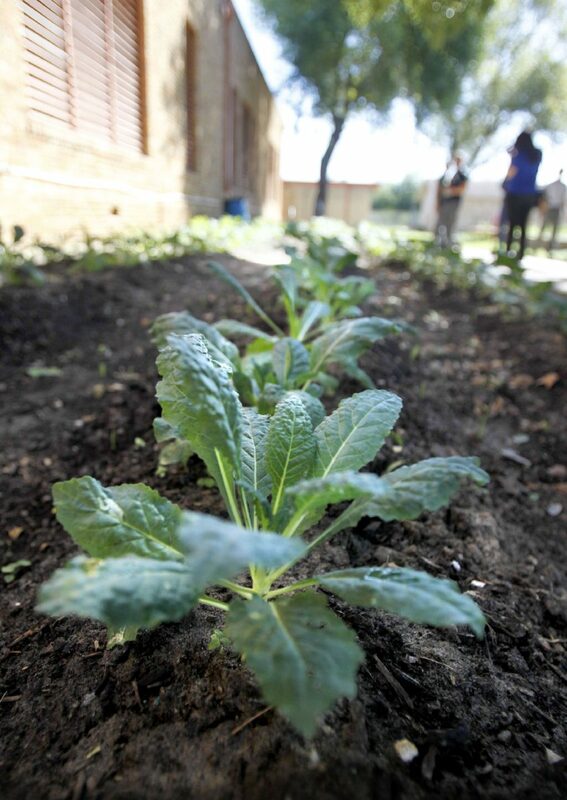 But the grant will allow them to partner with the city to plant about 10,000 native plants and trees from seed and also engage younger students in the efforts, Bracamontes said. The plan is to partner with the school district’s elementary schools in the lower-economic areas of the district to create what they will call Green Commandos, which will lead the conservation and restoration efforts. About $12,000 from the grant will be set aside to involve these students, who he said tend to be too poor to join Boy Scout clubs and groups of that kind. The grant works on a refund basis, he said, so they are currently developing the plan to involve about 400 students during the two-year program. A total of 50 acres of land in several area parks will be used for the initiative. Project partners with the district include the Pharr Athletic League and Hidalgo County Precinct 2 which will allow the students to plant trees in parks, schools and throughout the community.